This is a most engaging read detailing the story of a former friar who, after his order is disbanded by the Nazis, answers an ad in a local paper to marry a needy widow with three children. The story follows the developing relationships of the family and how Anton faces many internal and external conflicts - leaving his celibacy behind, supporting a family that is not his own and how to quietly resist the Nazi regime. 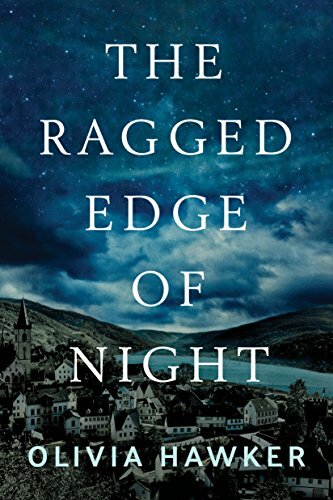 It’s an interesting book and although centred around World War II, it does not contain much ongoing tension or drama, rather it’s a tale of relationships under extreme circumstances. It is always interesting to read of WWII events from the perspective of German resistors and added to that fact is, although a fictionalised retelling of events, it concerns actual people and events from the author’s husband’s family history. From that point of view, it is most appealing. There is accompanying research that assists in supporting the story and at times reads as an annotated guide to German history. This is undoubtedly a well written book mainly focusing around one man’s guilt as he struggles to adapt from his religious way of life lost, to start again in helping a family in need and also, to confront the horrors of Nazi atrocities. In that respect it is quite introspective with much internal dialogue as we travel along with Anton on his life journey. At times this reflectiveness gets a bit repetitive and drawn out, particularly in reference to the fate of the children he once taught. I also personally struggled with the widow/wife Elisabeth, as she made things so difficult for him and the guilt trips she laid on him, after all he had given up, was just wrong. The author’s attempt to create a subplot of espionage is not really that strong and only comes in the latter half of the book. The author’s note and political commentary at the end of the book has created quite a furore in the U.S and could/should have been omitted. It has just proven a distraction from a worthy tale. 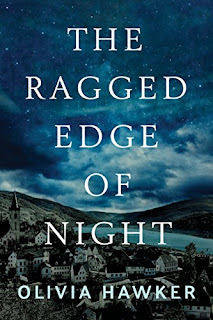 ‘The Ragged Edge of Night’ combines much to appreciate - resistance and romance - in its portrayal of a rural existence under the Third Reich and how simple acts of heroism can come from the most unlikely of places.